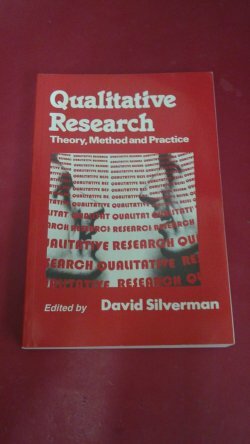 Building on the success of David Silverman's Interpreting Qualitative Data, this book assembles a well-known international team of researchers who share a commitment to rigorous, analytically derived but nonpolarized, qualitative research. Each contribution reflects on the analysis of each of the kinds of data discussed in Interpreting Qualitative Data - observations, texts, talk and interviews - with the contributors using particular examples of data-analysis to advance analytic arguments. Common themes include: the centrality of the relationship between analytic perspectives and methodological issues; the need to broaden our conception of qualitative research beyond issues of subjective `meaning' and towards issues of language, representation and social organization; and the desire to search for ways of building links between social science traditions and a commitment to a dialogue between social science and the community. 262pp. N.B. Corners very slightly bumped. Slight reading crease to spine.